Over the past four decades, music education has undergone many changes. Today, arts programs occupy a very narrow space in many public school curriculums. In an era when research underscores what music teachers have long understood-that the arts nurture the development of cognitive, social, and personal growth-the immense pressures on public schools force them to marginalize the arts as weekly electives or extracurricular activities. In 1999, a group of parents, teachers, and volunteers set out to build an organization that would sustain a vibrant independent harp program for the long-term and protect it from being lost with the ephemeral school arts budgets that are prevalent in our current era. In that year, the HARPS Foundation, which stands for Harp Advocates Reaching People with Special Needs, was created as a 501(c)(3) organization. 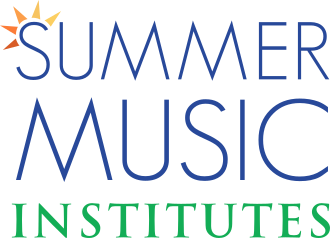 In the intervening decade, the HARPS Foundation has evolved and expanded substantially, now encompassing the five Performance Ensembles of the American Youth Harp Ensemble, nationally attended summer harp institutes and nine outreach, harp therapy, mentorship, and community service programs. The HARPS Foundation and the American Youth Harp Ensemble currently serve over three hundred elementary and secondary level students from throughout the region providing conservatory level instruction, therapeutic music instruction, community service, and performance opportunities. True to the core value of the organization, interested students, regardless of financial means, have access to the opportunities and resources offered by the American Youth Harp Ensemble. Since 1999, we have been able to take students all over the world to perform in elite festivals and concert halls. For the full list of national and international opportunities brought to our students, please see the American Youth Harp Ensemble.